Protect your ATM from burglary by investing in an ATM Alarm System. It requires no external power supply/ adapter to run the unit. This anti-theft device requires virtally no maintenance. 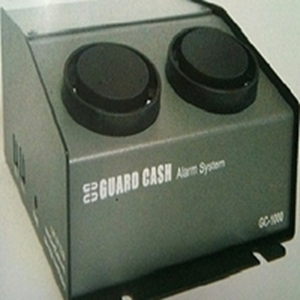 This 120dB ATM Alarm System works with all models. Protect Your ATMs from Burglary. Alarm Security System Uniquely Designed for ATMs. Requires No External Power Supply/Adapter To Run The Unit. Year Battery Life. Virtually No Maintenance. Triggered By Cutting Or Unplugging Wires. No False Alarms. No Motion Or Heat Sensor.